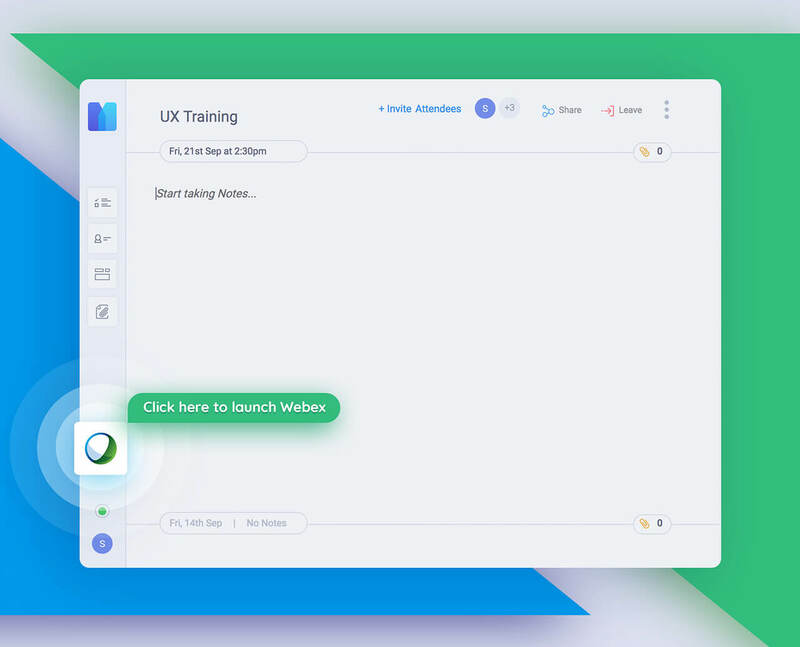 WebEx and MeetNotes combine meeting notes and web conferencing to make your meetings even more productive. Here is how you can set up this integration. 1. Sign into your WebEx account and schedule a meeting. 2. Head over to MeetNotes. Your meeting card will now be visible on your dashboard. The meeting editor will now feature a WebEx video conference button. Resolve conflicts, brainstorm and get work done using the WebEx integration. Let us know how it goes.